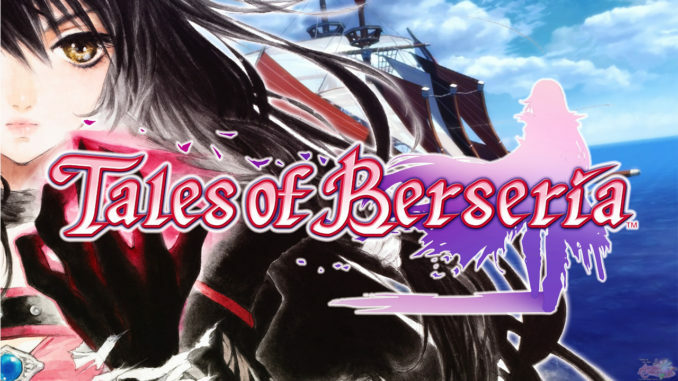 HomeAbyssal ChroniclesAC's Tales of "Colors" Xillia Contest! Win The Collector's Edition And Much More! 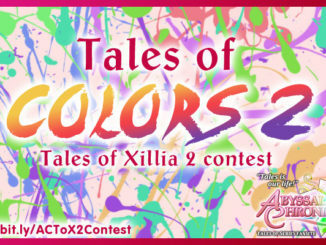 AC's Tales of "Colors" Xillia Contest! Win The Collector's Edition And Much More! UPDATE! 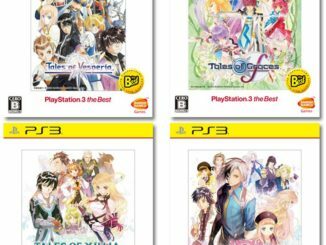 : Namco Bandai Games America has extended to us their help in our Tales of Colors contest! Because of that, our prizes for each tier have been upgraded! Check them out! After many delays and whatnot, it's finally here! 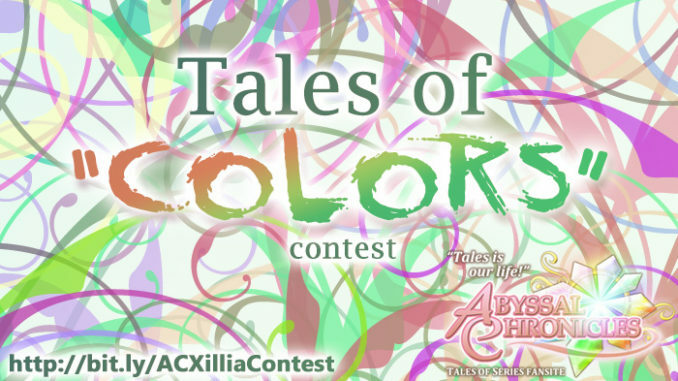 Abyssal Chronicles' very own Tales contest in honor of the upcoming Tales of Xillia: AC's Tales of "Colors" Xillia Contest! So, what the heck is this contest? Below, you'll find a set of color palettes. Do they seem familiar to you? Well, they should be. Each palette represents one Tales of Series character. And your job is to simply guess from which character these colors were taken from and who these characters are (click the image to see the full view). But why are there so many?? Yep, they're a lot, huh? There're 30 of them all in all, actually. Simple. This contest runs on a sort of point system. Each correctly guessed character earns you 1 point. The more characters you guess correctly, the more points you'll get. At the end of the contest period, I'll be choosing the top 5 scorers to be the winners. Should the top 5 or more like, get all correct or have the exact same scores, then I'll be using a randomizer to pick them out. The contest is open to everyone in the world (that a post office can ship to)! The prizes have been upgraded, thanks to Namco Bandai Games America! So, what's in it for you guys for going through all this trouble? Well, a LOT! We'll be picking a total of 5 winners, with the Grand Prize Winner (i.e. the top scorer OR the one picked out from the top 5 via a randomizer) will receive the following! 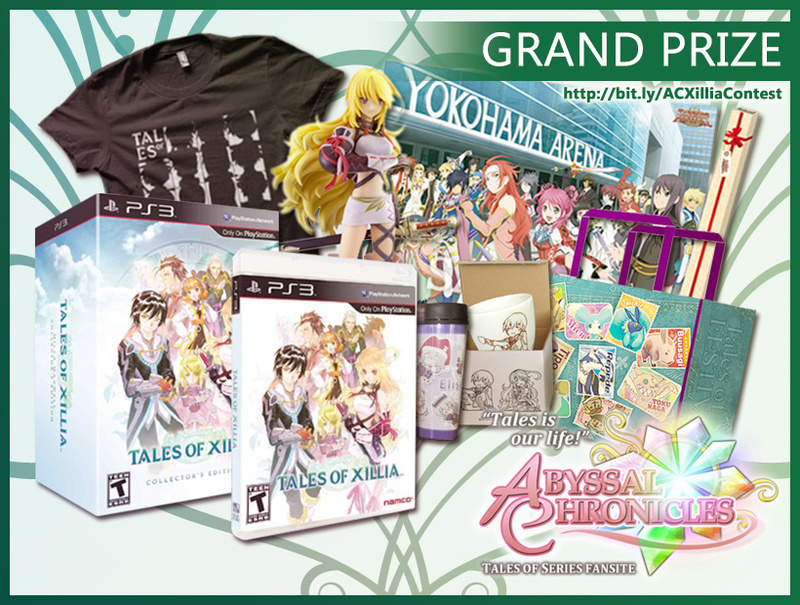 Grand Prize: (1) Tales of Xillia (US Version) Collector's Edition; (1) Tales of Festival 2013 Official Poster; (1) Tales of Festival 2012 Tales Mascots Shopping Bag; (1) Tales of Cafe Tales of Xillia Jude and Milla Mug; (1) Tales of Cafe Tales of Xillia Elize Lutus Tumbler; and (1) Your Tales of T-Shirt. And here're the other prizes in store! 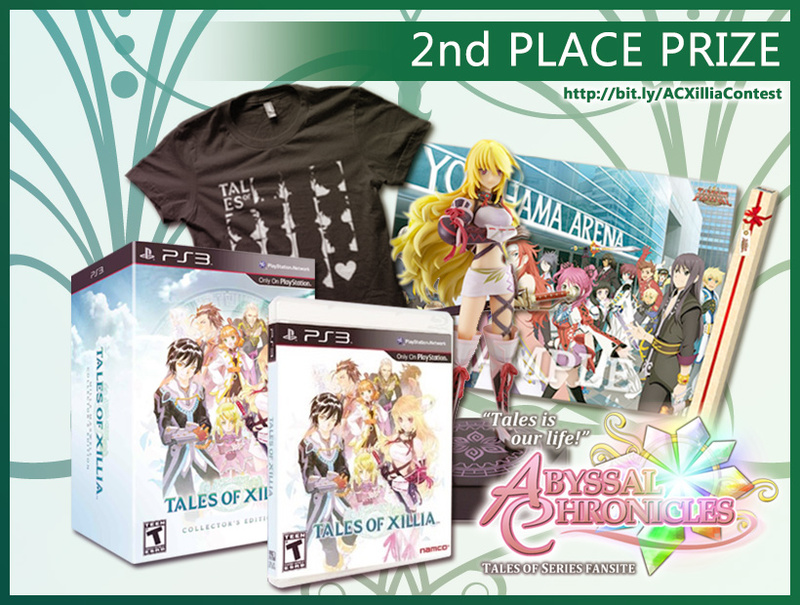 2nd Place Prize: (1) Tales of Xillia (US Version) Collector's Edition; (1) Tales of Festival 2013 Official Poster and (1) Your Tales of T-Shirt. 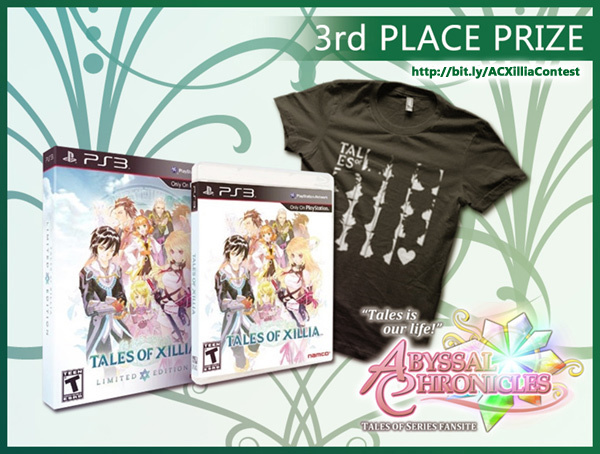 3rd Place Prize: (1) Tales of Xillia Limited Edition OR Day One Edition (depending on your region); (1) Your Tales of T-Shirt. 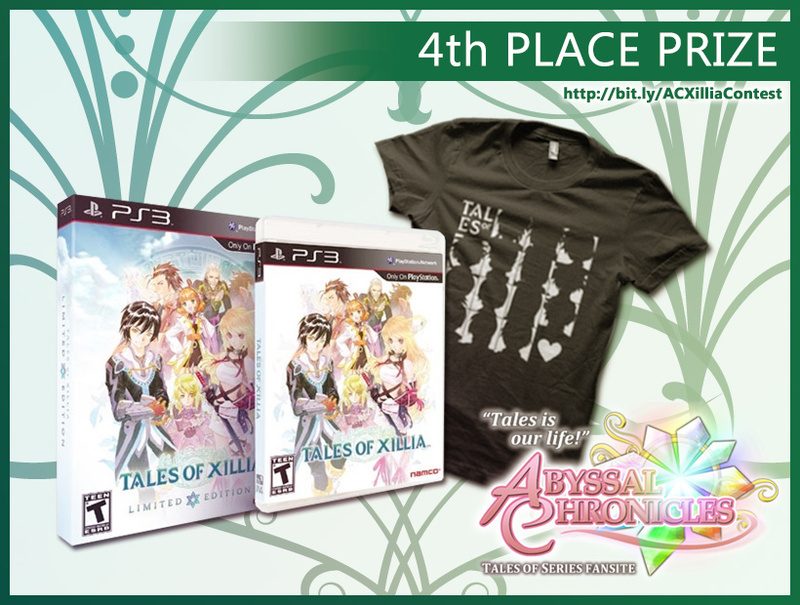 4th Place Prize: (1) Tales of Xillia Limited Edition OR Day One Edition (depending on your region); (1) Your Tales of T-Shirt. 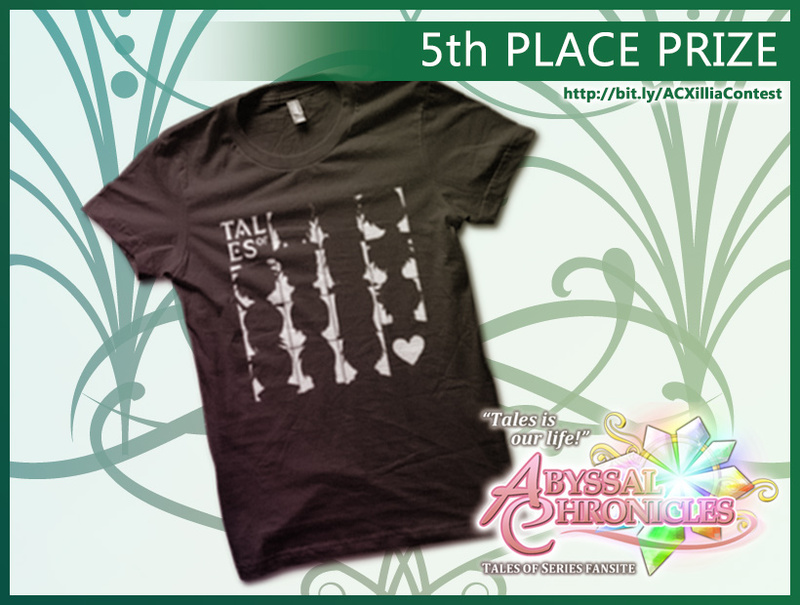 5th Place Prize: (1) Your Tales of T-Shirt. *NOTE: Please read the details about the prizes below. It covers important stuff you need to know about them. Now that the prizes have you all hyped up, let's talk more on the colors. The colors are basically laid out to be head-to-toe (i.e. 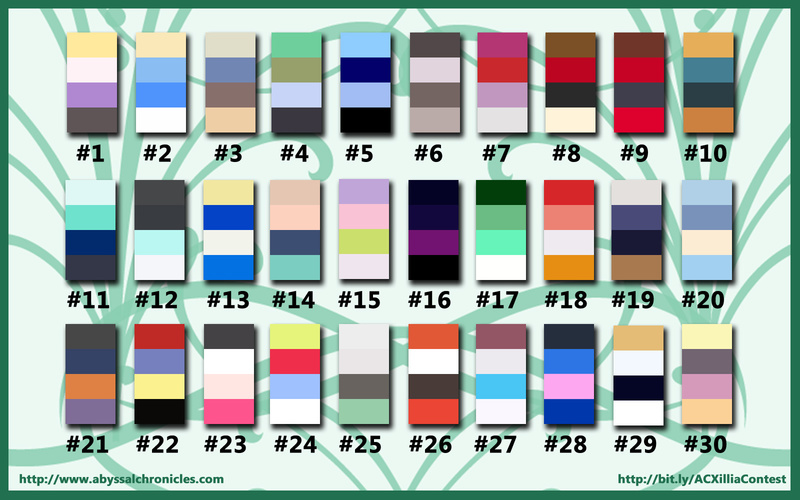 first color is from the character's hair, last color is from the character's shoes, etc.). 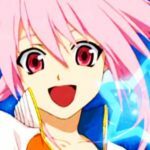 They were taken from the official character design artworks of the characters, so that should give you a bit of help (i.e. 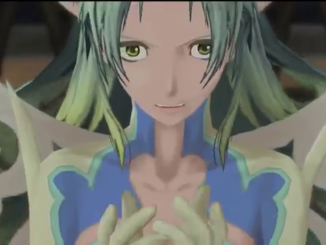 the default artworks by Inomata, Fujishima and Okumura). And of course, I used the eyedropper tool in Photoshop for this. Note that there are some official artwork that don't exactly match a character's colors in-game. Keep in mind that I took colors from the official drawn artwork. Characters are taken ONLY from Mothership Tales titles. 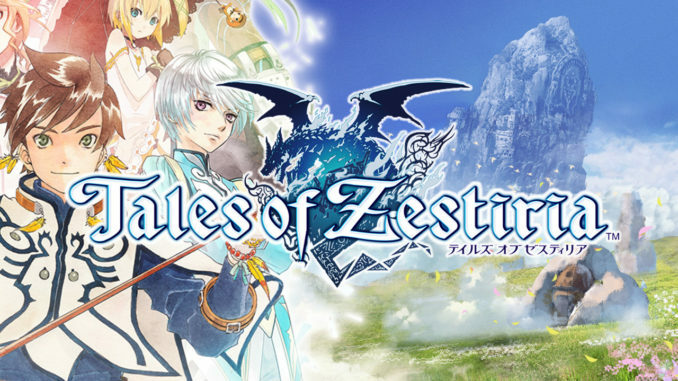 So that'll be Phantasia, Destiny, Eternia, Destiny 2, Symphonia, Rebirth, Legendia, Abyss, Innocence, Hearts, Vesperia, Graces f, Xillia and Xillia 2. Characters are only the main ones and some of the bosses, final or not, (that have official drawn art from their character designers). I'll be giving hints every few days for everyone's convenience. Now, here's the first hint to help you guys out: All the main male heroes are there. That said, you can't just randomly guess them! Since you'll have to give me the answer to their corresponding number. I'll post more hints as the days go by, so keep an eye out on our Facebook, Twitter or Tumblr. 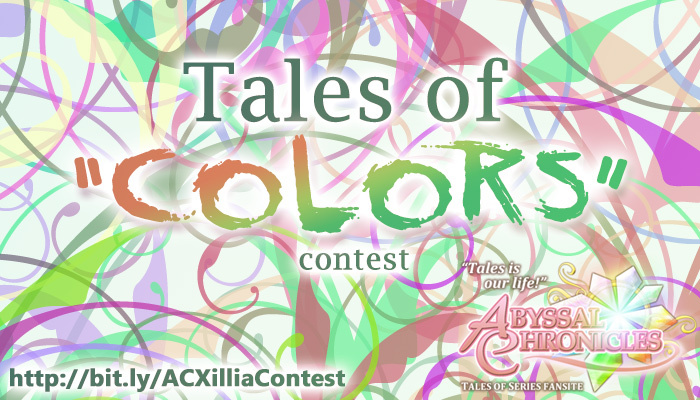 To send in your entries, just e-mail a745@abyssalchronicles.com with the subject/title "AC Tales of "Colors" Xillia Contest Entry" together with your desired username, country and your answers arranged in a simple numbered list. oYou can leave some blank if you can't guess them. And you don't have to indicate which game they're from. Just give their names. YOU CAN amend your answers anytime at ONE TIME only within the contest period. For example, you already sent in your entry and then you realized who a color is. You can send in another entry. Just have the subject/title to be "UPDATE! AC Tales of Xillia Contest Entry." Again, you can only do this once. Once you've sent in an updated entry, you can't anymore and it'll be final. Yes, I'll be checking. DEADLINE FOR ENTRIES IS ON JULY 22, 2013 AT EXACTLY 07:00am EDT (New York Time, UTC-4). That would be 07:00pm PHT (Philippines Time, UTC+8 ). Winners, their scores and the correct answers will be announced 2-3 days after the deadline. Thanks guys, and have fun! We'd like to thank Nick from Namco Bandai Games America for providing us another Tales of Xillia Collector's Edition, the Tales of Festival 2012 bag and the Tales of Cafe stuff! We'd also like to thank Joe from the Namco Bandai UK branch for providing us the awesome Your Tales Of T-Shirts! And don't rush it! The more correct answers you have, the higher the chances of you winning. You have a whole 2 weeks for that. If you need references, you can check out our own gallery or practically any other image gallery with Tales in it. 1.) The Tales of Xillia Collector's Editions for the Grand Prize and 2nd Place Prize will strictly be the North American version only. Pre-orders are scarce, after all, so we pre-ordered this way in advance. The one provided by Namco Bandai America is also, obviously, the US version. Regardless of where you live, you're getting the North American version. 2.) For the 3rd and 4th place winners, if the winner is from Europe, we'll be ordering the EU version from a European shop (either ShopTo.net, GAME or Zavvi). That would actually be the Day One Edition for you guys. If the winner is from Australia, we'll be ordering from MightyApe. If the winner is from the US or anywhere else, we'll be ordering from either Amazon or Play-Asia, depending on your territory (i.e. Amazon for US and CA residents, Play-Asia for Asia or wherever). 3.) Abyssal Chronicles will not be responsible should there be supplier-related problems for the Tales of Xillia Limited Edition/Day One copies. For example, previous other games do get mishaps about having their customers be sent the normal edition over a limited edition. Should the problem still be rectifiable, then we'll do our best to help you out, like with exchanges and such. But if it turns out that there's no more stock for the LE for that, then we really can't do anything. 4.) Since the sizes we have for the shirts are limited (2 S, 1 M, 2L), the shirts are set to prioritize the higher level winners first. This means that the Grand Prize winner will be the one to first choose his/her shirt size. The rest will follow and the last one will get whatever's left. Sorry about that :(. 4.) The poster and the shirts will be shipped separately from the game. The posters will be coming from Japan and the shirts will be sent out from where I live. That said, you might not get them all at the exact same time, but you will get them eventually. The shopping bag and Tales of Cafe stuff will come from Namco Bandai America, and will be shipped from their office. 5.) Shipping for the games may range from normal mail to express, depending on our budget and where the winners will live. Shipping for the poster and the shirts will be normal registered mail by default, and may take 2 weeks or more to arrive at your homes. Shipping of the Grand Prize CE, shopping bag and Tales of Cafe stuff depend on Namdai US. 6.) For LE/D1 winners, if you see your name in the winners' list and you don't have an e-mail from us yet, then please send your address in right away. The earlier we get your address, the earlier we can place your pre-order and guarantee it. That's all! Good luck to everyone! And again, all these contests are made possible from your continued support. Buying from Play-Asia, CDJapan or Amazon through us helps fund all the contests for AC. Thank you to all who've been supporting us through the years!